Does your dining room need a flooring upgrade? Are you interested in a brand-new floor that will produce a naturally beautiful space? Our flooring store carries top-of-the-line hardwood flooring that can complement any style of home. Whether you want an affordable floor or you want to add a touch of sophistication with solid hardwood, we can find the best floor for your needs. Our showroom is stocked with every type of hardwood flooring, including engineered, solid, and handscraped hardwood styles. We are sure to have your style in stock and available for purchase. Our team also provides complete floor installation services. When you visit our expansive showroom, you’ll speak with skilled and friendly experts who are very knowledgeable about our products. In addition, we never engage in high-pressure sales tactics but are available to help when you need us. Our team takes the time to understand your needs and assists you in shifting through thousands of options until we find the right one for you. Consider installing engineered hardwood floors. No matter what your specific focus is, adding a new floor to your space provides you with years of enjoyment. It is always the goal of our flooring sales team to make sure you find the right style for your preferences. You can expect exceptional services whenever you come to us for flooring, from your initial consultation to the installation of the final plank. Book an appointment today with us for a free consultation with us. We’ll help you determine the right type of solid hardwood for your home or office. Our team is committed to providing durable flooring to create a high-end space within your price range. During an appointment, we’ll listen to your needs such as color and style preferences. In fact, we are happy to come to your location in our service area for your free consultation. This allows us to see different flooring samples in your home’s natural lighting, determine what colors match your design preferences, and consider complementing your other home flooring. With friendly customer service in mind, we always offer free consultations at your convenience. 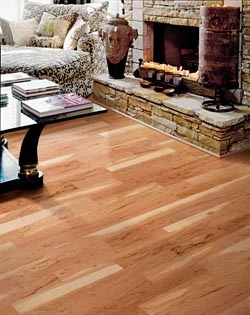 Protect the value and integrity of your purchase by following through with professional hardwood flooring installation. Our experts take every precaution to make sure you get the look you wanted without wasting your flooring materials. We are very careful with transitions between rooms and always make sure that subfloor is properly prepped before beginning work. This ensures a beautiful floor for many years to come. Learn more about our full range of hardwood flooring options when you contact us today for an appointment. We proudly serve the communities of Torrance, Palos Verdes, Rolling Hills, Lomita and Rancho Palos Verdes, California.